Social butterfly? Love living in the heart of town? Love being in the beautiful centre of shining bright lights? Check, check and check! I’ve long thought that Goldstream village hasn’t gotten it’s due. In Victoria we prize our villages so today I tip my hat to the majestic fountain and beautifully lit trees of Goldstream Village. 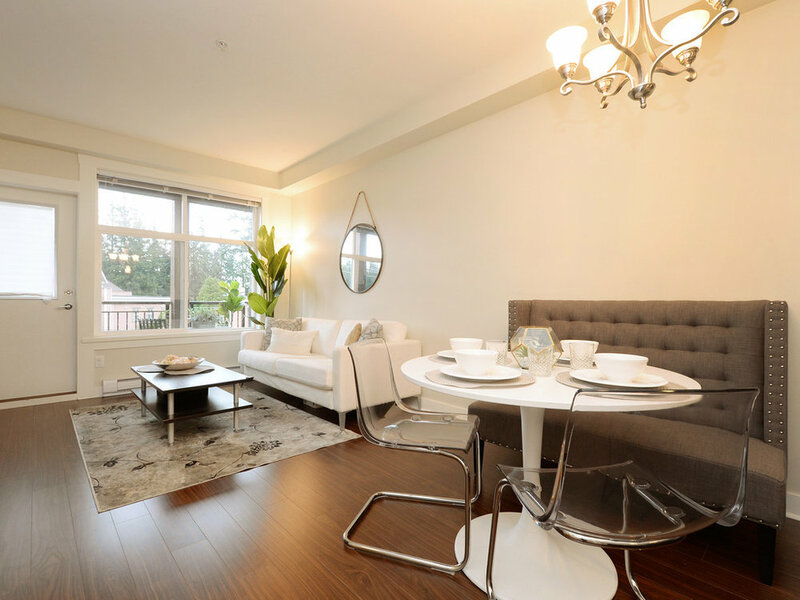 And in an #adorableaffordable condo like this one, you simply CANNOT go wrong!!!! It’s not just downtown Langford; nearby you’ll find beautiful parks, Langford lake and the farmers market is across the street in the summer. 9’ ceilings make this condo spacious and welcoming. It’s wonderfully laid out and packed with modern luxuries like the aforementioned 9' ceilings, granite countertops in the kitchen and bath, eating bar, stainless steel appliances, pendant bar lighting & chandelier over the dining over the dining table. PLUS a soaker tub with designer tile surround in the bathroom. .Enjoy your SW balcony in any season. Summer BBQ's or partake in festivities like the Christmas parade from your own perch!